Highly scientific, fake resistant, mobile friendly personality tests designed to aid organisations in hiring the best. PPA is based on an algorithm that is make it almost impossible to fake the assessment. Can be completed on mobile phones as well. PPA is based on the Big Five Model of Personality. PPA is a statistically standardized tool, validated by professional psychologists & industry experts. 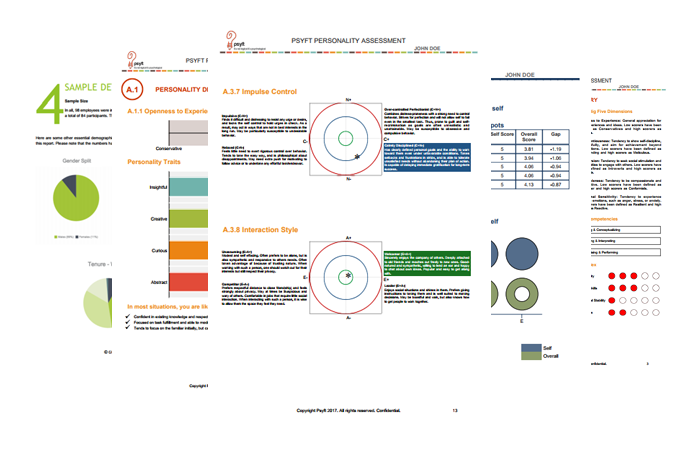 GreenThumbs offers different versions of Psyft Personality Assessments (PPA). These psychometric tests prove to be useful for various requirements. For professionals. Underlining behavioral traits, emotional quotient, stress tolerance levels etc that affect work performance. For senior professionals. In addition to advanced report, highlights leadership style, decision making style, negotiation style, etc. For students to understand their true potential, polish their social interaction skills and make informed career choice.